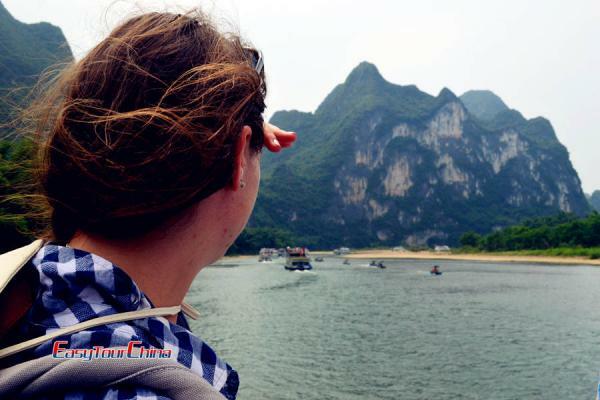 A special-designed Guangxi tour begins in Nanning and takes you to explore some extraordinary areas of Guangxi in a relaxed way, by visiting Detian Waterfall - the world’s second largest transnational waterfall, picturesque Mingshi Scenic Area (known as Small Guilin), as well as fantastic Tongling Grand Canyon and enchanted Bama longevity Village. Moreover, you’ll feast on delicious local dishes of Zhuang people. Arrive in Nanning, the capital city of Guangxi Zhuang Autonomous Region. You will be met by your tour guide at the airport and transferred to hotel. After breakfast, drive to Shuolong (4.5 hours). Admire the charming Daxin country of idyllic scenery en route. 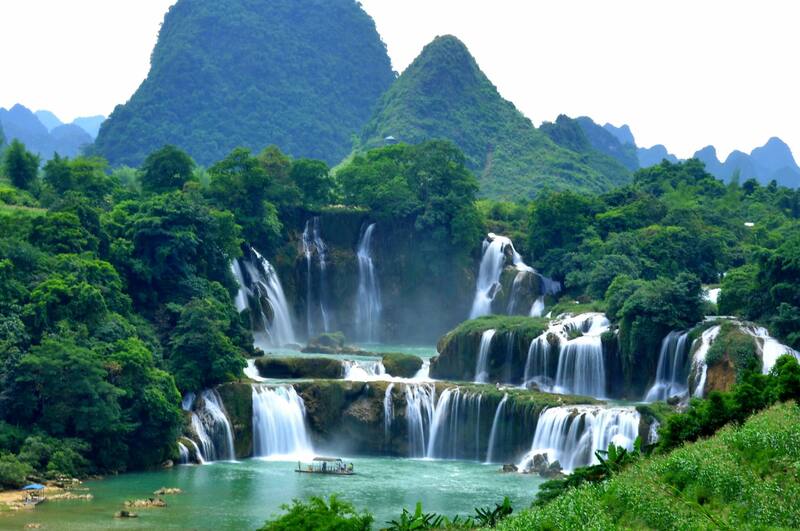 Explore Detian Waterfall - the second largest transnational waterfall in the world, bordering with Vietnam. 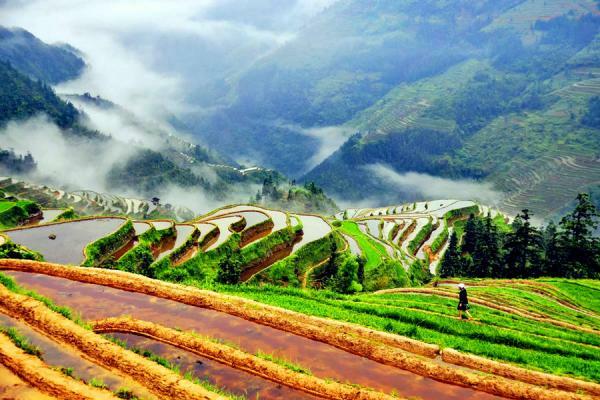 Then proceed to Mingshi Scenic Area (3 hours), which is known as “Small Guilin” and a photographers’ paradise. Take a bamboo raft down Mingshi River to enjoy a tranquil world of fresh air and intoxicating scenery. 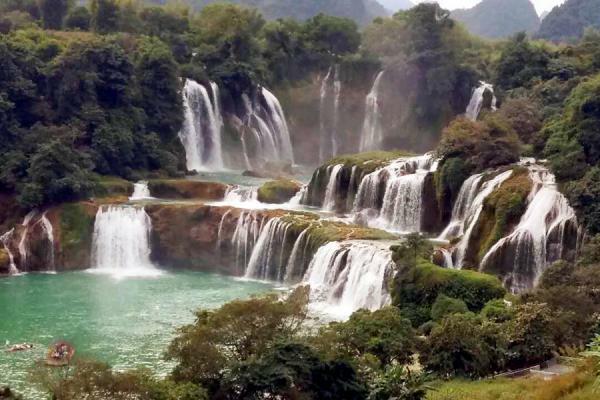 Have breakfast in the hotel, then drive to Tongling Grand Canyon in Jingxi country for marvelous Tongling Gorge, Tongling waterfalls, and primeval forest of various vegetation. After lunch, drive to Bama longevity Village (4.5 hours). Check into hotel. Drive to Crystal Palace and marvel at exquisite rock carving and shining stalactite. Then head to Bama longevity Village. The centenarians will share the secrets of longevity with you. Afterwards, proceed to Magic Cave. It is celebrated as “the most spectacular cave in the world” by the British Cave Research Association and a fashionable health resort with high concentrations of negative oxygen ions. Later, Back to downtown Bama, and check into the hotel. After breakfast, drive back to Nanning (4.5 hours). Transferred to airport and fly to your next destination.